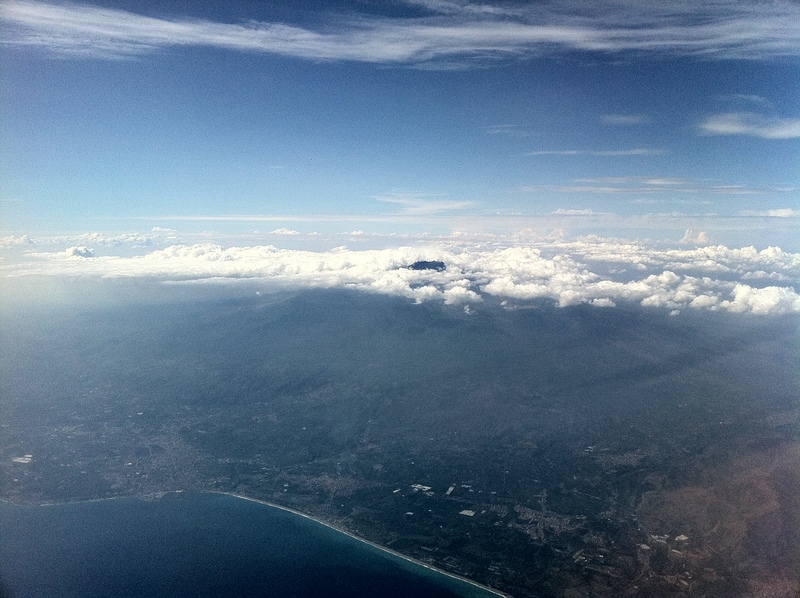 Once Catania airport reopened, we flew the short hop to Naples four hours behind schedule, and enjoyed fantastic views of Etna’s summit, Stromboli and the Aeolian Islands. 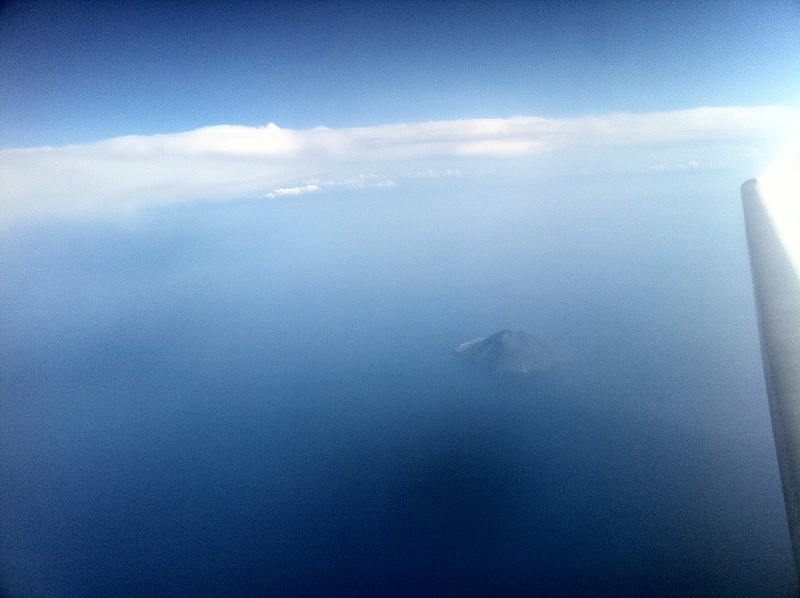 In the summer, you can take a ferry straight from Stromboli to Naples, but unfortunately for us this stops running at the end of August. Naples is the same as ever, but the roads seemed a bit quieter than last time I was here – when I was also making a documentary with Pioneer. One thing I have encountered often, that adds a lot of time and frustration to filming, is noise. Dogs barking, cars, a sudden train approaching, random drilling, cutting, chopping, masonry work, planes, the list goes on. Normally you would barely notice these things, but for the sound men and women of the world it is a constant problem. In fact, people can be the worst offenders, hanging around pretending not to be there, but trying to get in shot! Yesterday’s filming surpassed all that – we were filming underwater Roman ruins in the tranquil Bay of Pozzuoli when a speedboat race started, accompanied by helicopters and support vessels. Clearly the Gods are upset with us! Now we’re waiting in the airport lounge to fly back to the UK, which gives me time to reflect on the effect volcanoes can have on a country – particularly in terms of economics. According to some estimates, the combined economic impact the 2010 Eyjafjallajökull eruption stands at 3 billion USD. But volcanoes are also income generators, attracting vital tourist dollars. (See my chapter in ‘Volcano and geothermal tourism’). My feeling is that more needs to be done by volcanologists to strength links between our science, governments and business by promoting the development opportunities that volcanoes offer, not just the risks and hazards they pose. There is also the economic impact of carbon dioxide to consider. We all know that volcanoes emit CO2, but not, as some climate change sceptics suggest, in excess of human activity. But consider this: what if countries who ‘owned’ them had to pay a carbon tax? Sounds ridiculous now perhaps, but arguably just a further consequence of the notion of the planet providing environmental ‘ services’ ? Carbon is currently trading at EUR 13 per tonne. 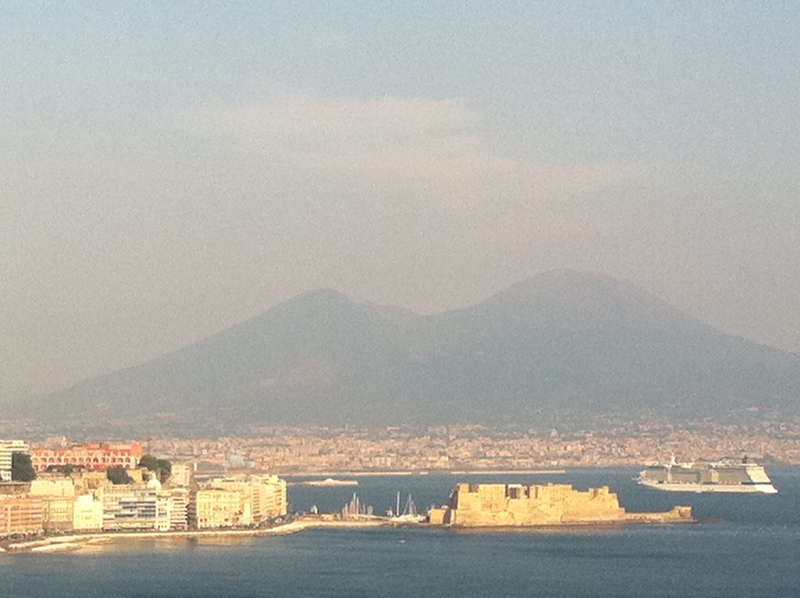 That means that in a quiet year, Etna could ‘cost’ Italy 13 million Euros if forced to trade on the open market. The 1991 eruption of Mt Pinnatubo would cost the Philippines government 546 million Euros at todays rate. Taking the BGS estimate of global CO2 flux of 300 Mt/yr then the worlds volcanoes could represent some EUR 4 billion of potential financial exposure. This equates to a small fraction European GDP but, for developing countries that are volcanically active, the burden, assuming it were ever to be imposed, could be painful. I call this line of thinking volcanomics. Might make an interesting documentary? Tags: carbon tax, economics, eruption, etna, Italy, naples, stromboli, vesuvius, volcanoes, volcanomics. Bookmark the permalink. A new Lava dome is building in the summit crater. It was 130 feet in Diameter as of January 30, 2012. On February 1, 2012 the AVO/USGS issued a Volcanic Activity Notice on the Cleveland Volcano raising the status from YELLOW to ORANGE. A ORANGE status indicates that the Cleveland Volcano is exhibiting heightened or escalating unrest with increased potential of eruption, timeframe uncertain, OR eruption is underway with no or minor volcanic-ash emissions [ash-plume height specified, if possible].